Yep, this is the post where i wanna talk about guys. Yeah, i've had a few crushes. Been in 2 relationships(i was young and naive, ok?). Been heartbroken. Smiled whenever my crush's name was mentioned. But guess what? I haven't had that feeling for ages! Its kinda funny, coz i thought i'd experience more of those lovey-dovey feelings as i get older. Its hard. When you're in love with people who don't even know you exist, its hard to notice the ones around you =) Even though i know in deep in my heart that i will never even meet the guys that i love, but for some reason, i don't really notice the guys who actually know me and always see me. 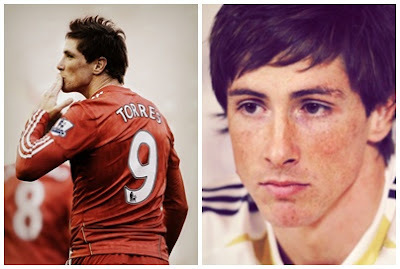 I think my blog is filled with tons of stuff and opinions about Fernando Torres, so i'll skip that part =). 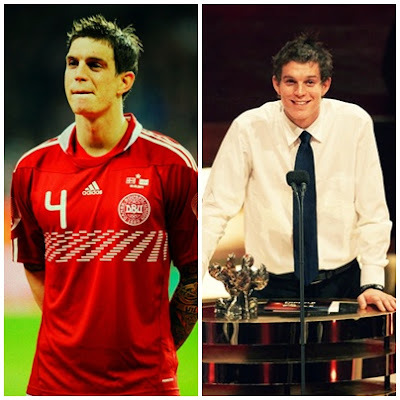 Let's talk about Daniel Agger. 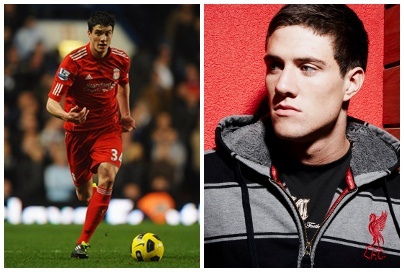 He's an amazing LFC defender. He's from Denmark. He has amazing, artistic tattoos, with very meaningful quotes. The ones that i know are "pain is temporary", "victory is forever" and "death is certain, its hour is not". Idk, i find them quite fascinating. But i know, its haram to have tattoos. They can always get rid of them though! LOL, that means he has to get rid of half his body. WHOA. But then, the only tattoo-less dudes up there are Kelly and Afellay. Meh. 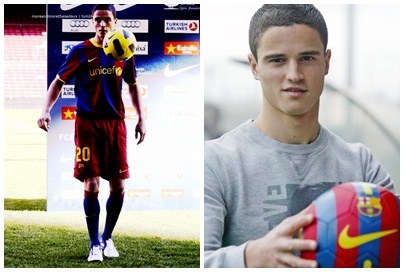 Last but not least, Ibrahim Afellay. I don't know much about him actually, since he joined Barcelona recently. What i DO know though, is that he is 24 years old, from the Netherlands, and the best part, he is ISLAM! Wait, Islam and HOT. Yeah, that sounds better xD. I have hopes and a chance now! Haha, just kidding. But its really awesome that he is really successful, and he that he shares the same wonderful religion. You know what? i can never not talk about Fernando Torres. So here's his part xD. One thing that i'm really, really inspired about is the fact that his one and only love was always Olalla Dominguez. Yes, his wife. They met when he moved into her neighbourhood at the age of 8. Let me repeat that. EIGHT years old. He said that they were together since he was 16. I think that that is one of the sweetest things ever. No one can deny that he will NEVER do anything to hurt Olalla. They have 2 beautiful kids, Nora and Leo Torres. Yeah, i kept editing this post for 4 days, thats why i haven't posted anything for ages. This post is probably too long, which is why you probably skipped down to the bottom, but oh well, its when I wanna express my feelings and obsessions, so i'm just gonna write whatever the heck i want xD. I WANT TO MARRY A HOT FOOTBALL PLAYER. Other people wanna marry famous guys like Justin Bieber and Zac Efron and even Robert Downey Jr. and Chase Crawford. I'm not judging them, yes, they're pretty hot. But I wanna marry a hot football player. 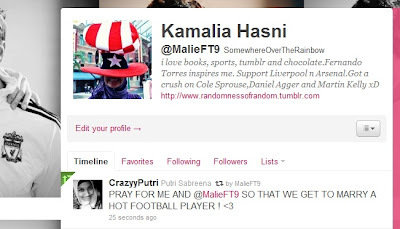 And I don't care if he is famous or not, as long as they are hot and really awesome at football. So yeah, if anyone likes me, tell them to start practicing ;) Haha, JK. But seriously, i wanna marry a hot football player. Same as Putri. Well, this was one random post. haha.bye torres.ngaa.ngog pun OK apa.HAHA.